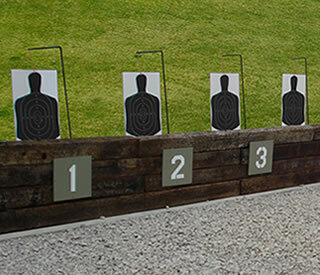 This course teaches basic skill with the shotgun and is geared for the beginner. The course will cover basic marksmanship as well as an emphasis on weapon manipulation and weapon safety. During the course the students will have 1 full day of range time shooting from barricades, around vehicles and end in the shoot house. Handgun with holster: 15 rounds (optional for transitions).